The Leinster captain sent Anthony Foley's son the jersey he wore when his drop goal beat France in Paris. Class. 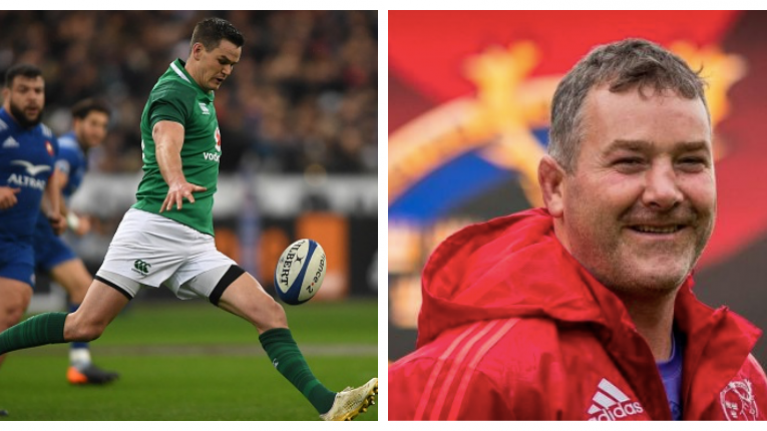 Leadership and respect are never just confined to the field, and this idea is highlighted by the incredible act of kindness that Johnny Sexton showed to the son of Munster and Ireland icon, Anthony Foley. During a recent chat on Claire Byrne Live, Anthony's father Brendan was joined by a host of former Munster players to remember the province's famous win over the All Blacks 40 years ago. Of course, given the special place that 'Axel' holds in the heart's of Irish rugby supporters, Brendan Foley was more than happy to talk about the legacy that his son's skill, bravery, and decency continue to have. During the conversation, Brendan told a story about Anthony's youngest son, Dan. "There was another special moment - I am going to ruin a man's reputation now - a parcel arrived in the post last March and just to coincide, it was Dan's birthday. Nobody took any notice of the parcel on the day but later on that night the parcel was opened. Who's jersey was it but Johnny Sexton's. The one that he wore in Paris, the day he scored the winning point," said Brendan. 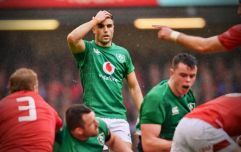 As rugby fans will know, Sexton's dramatic drop goal and that famous win in Paris was the catalyst that propelled Ireland to Grand Slam glory in last year's Six Nations. A further reminder than when it comes the national team, all provincial 'friendly rivalries' are left at the door. A story that somehow makes this moment seem even sweeter.